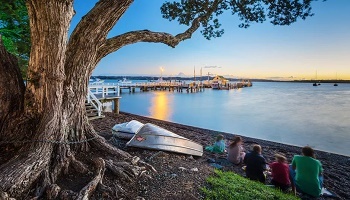 Known as the "Birthplace of a Nation", the region is steeped in the history of New Zealand and is where the country's founding document - the Treaty of Waitangi - was signed in 1840. Polynesian voyagers are thought to have arrived in this region about the 11th century, but it wasn't until after the landing of the British sea voyager Captain Cook in 1769 that whalers, missionaries and traders arrived. 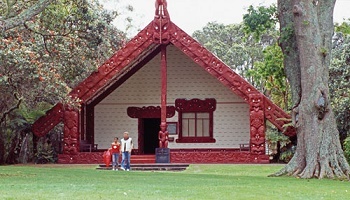 These settlers have left their legacy in the form of historic buildings and museums that provide a unique insight into early New Zealand life. The myriad of islands, bays and beaches around the coastline provide visitors with a chance to experience a range of marine-based activities. Heavily sprinkled around Northland you'll find luxury lodges and upmarket 'Bed & Breakfasts'. Wine and golf trails, chocolate factories and wonderful outdoor cafes are an irresistible option to support the choice of exclusive retreat. Finally the story of the Kauri tree, its logging and contribution to New Zealand's early history can be seen in places like Matakohe, and the giant specimens still living today can be viewed in forests such as Waipoua on the West Coast. The real Far North starts on crossing the Mangamuka Ranges on State Highway 1, 25 km/16 miles south of Kaitaia, at Kaeo on State Highway 10, or after crossing the Hokianga Harbour on the ferry from State Highway 12. Cape Reinga is the northernmost point of New Zealand, where the Pacific Ocean and the Tasman Sea meet. Ninety mile beach is the longest in the country. 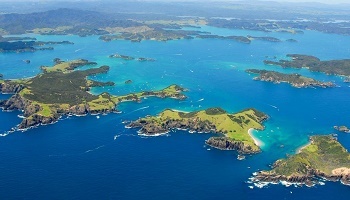 The natural beauty of the Bay of Islands has to be seen to be believed. It's an aquatic playground lavishly furnished with 144 islands and a myriad of secluded beaches. Every bay, shore and cove has a story to tell. At Waitangi National Reserve see where New Zealand's founding document, the Treaty of Waitangi, was signed in 1840. Experience historic Kerikeri where Maori welcomed the missionaries in 1819 to establish the framework of New Zealand's bicultural society. Paihia and Russell are great places from which to explore the Bay of Islands. You can arrange cruising, swimming with dolphins, sailing, big-game fishing and kayaking. The famous "Hole in the Rock" cruise is one of the most popular boat cruises in the Bay of Islands.